Augmented reality (AR) is the computer-aided expansion of perception. The term is used especially in connection with the decoration of visual representations. But AR is much more than just an embellished digitally reality and can respond to more human sensory modalities than just the sense of sight. With the extended reality, real things in real time are enriched with information in the form of texts, graphics and videos. Whoever is in possession of an SLR, already knows a region where it comes to the application of Augmented Reality. Thus, in the camera important information, such as lighting conditions, is overlaid on the real image. But also on TV, the possibilities of an expanded representation are exhausted. So viewers can get Additional information at sporting events, about offside positions, throwing and firing range, etc., which are highlighted by visual expansion. 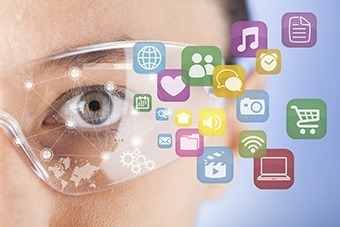 Large companies, such as Apple and Google are driving the development of AR-systems (short ARS) forward to help facilitate the daily life of people and help to shape them. From games to information about the surrounding area - the uses are widely held. Also in the trade of this new technology is made more and more use and with possibilities, such as the virtual fitting room, creating a completely new shopping experience. Would you like to learn more about this extraordinary technology and use AR for your purposes more? We will help you to do this. Just contact us for a no-obligation consultation.